PASTIC Awareness Seminar was organized at Govt. College University Faisalabad on December 21, 2018. Dean, Chairmen, Senior Faculty Members and students from various departments participated. There were 150 participants in the seminar. 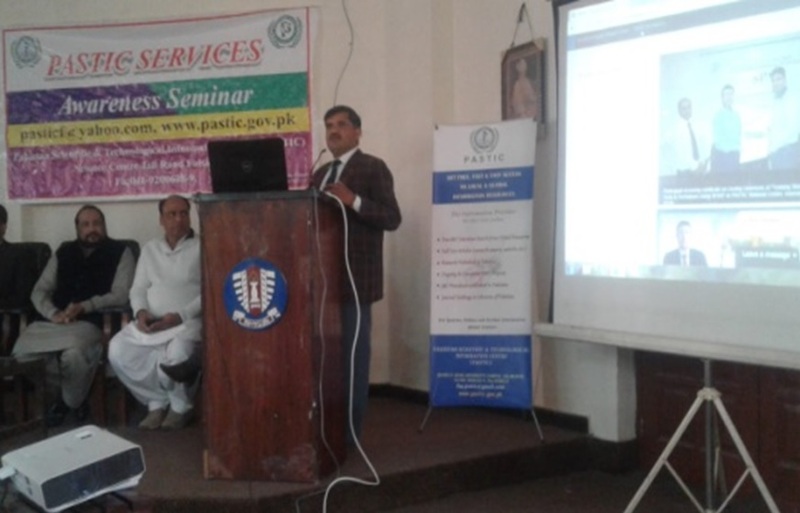 Presentation was delivered about PASTIC services by Mr. Muhammad Hasnain, Deputy Director, PASTIC Sub-Centre Faisalabad. Mr. Muhammad Hasnain, Deputy Director PASTIC Sub-Centre Faisalabad, delivering presentation.